In 10-inch skillet, melt butter over medium heat. Stir in flour with whisk until blended. Cook about 2 minutes, stirring frequently. Stir in broth; heat to simmering over high heat. Simmer 1 to 2 minutes or until thickened. Remove from heat. 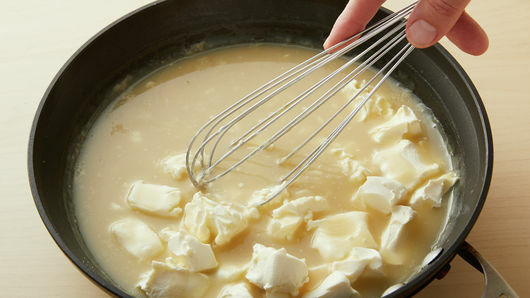 Beat in cream cheese with whisk until sauce is smooth and free of lumps. Spread 1/2 cup of the sauce evenly in bottom of baking dish. 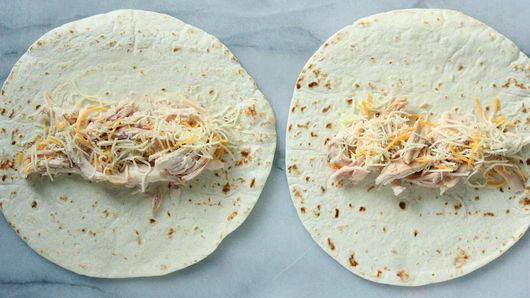 Place 1/4 cup chicken in line down center of each tortilla; top each with 2 tablespoons of the cheese. Wrap tortillas tightly around filling. Place seam side down in baking dish. 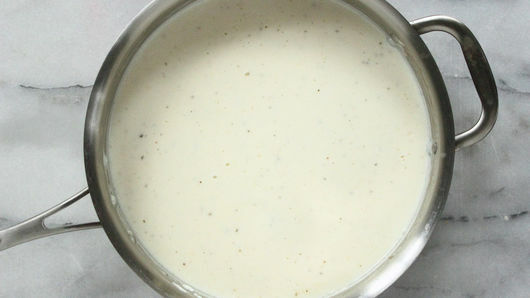 Pour remaining sauce over filled tortillas. Sprinkle remaining 1 cup cheese evenly over top. Bake 30 to 35 minutes or until cheese is melted and center of tortillas is hot (at least 165°F in center). Add some chopped fresh cilantro as a garnish, and serve with Pillsbury™ refrigerated biscuits and fresh salsa. With only seven ingredients, these chicken enchiladas are ready to serve in just 1 hour. This recipe pairs well with fresh cilantro as a garnish and fresh salsa for added spice. Traditional enchiladas are made by rolling filling into corn tortillas and covering with chili pepper sauce. 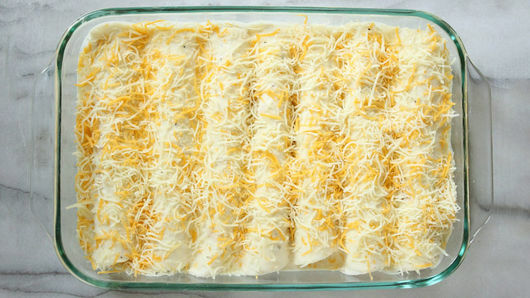 There are many options for filling your enchiladas, including meat, cheese, beans, vegetables, potatoes, seafood and more. 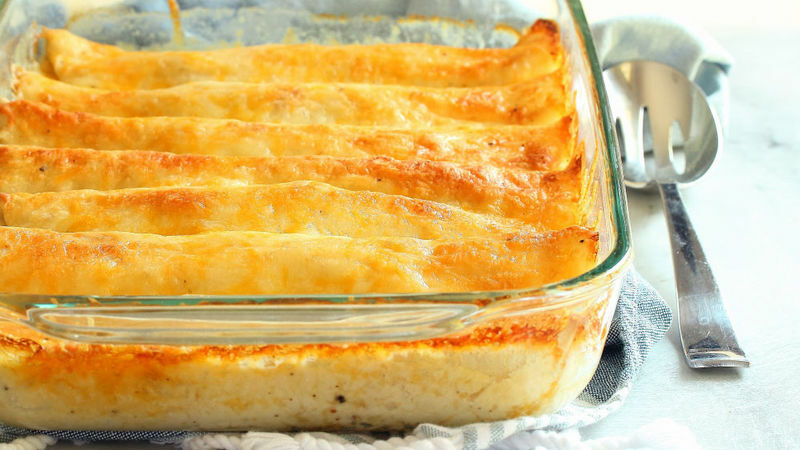 The name enchilada originates from the Spanish word enchilar, meaning “to add chile pepper to,” or to “season (or decorate) with chile.” Want to expand your enchilada recipe library? We’ve got even more enchilada recipes to try with your family this weekend. For an enchilada refresher, this step-by-step guide shows you how to stuff, wrap and serve like pro.